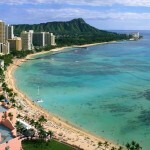 Honolulu and Maui are rated in the Top 10 U.S. destinations for singles! Beachfront resorts, great nightlife, dining, and shopping in Waikiki, and a host of land and watersports make Hawaii a haven for singles looking for activity or romance. While Hawaii does not offer all-inclusive resorts, our packages include airfare, hotel and transfers, or rental car if preferred. We can also add on fun activities and excursions such as a luau, snorkeling, scuba, biking, hiking, golf, and cultural activities. 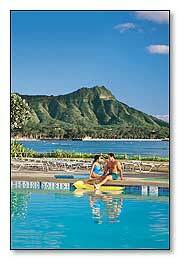 Here are a few of our recommended hotels for singles, but we can also handle any resort you choose in Hawaii. While Hawaii does not offer all inclusive resorts, we can customize your package to include breakfast, and selected meals and tours. 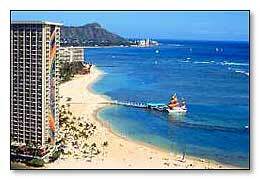 The Aqua Waikiki Wave is located near Waikiki Beach and steps away from world-famous shopping. 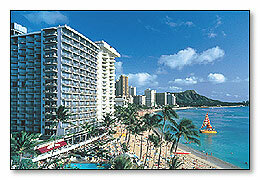 This hotel offers spacious rooms right in the heart of Waikiki, and is designed in a contemporary fashion. Its hip rooms have custom furniture and finishes that are decorated in gorgeous chocolate brown, deep coral, persimmon and gold. The era of great waves and handsome surfers is reflected in the original artwork. This hotel’s cutting-edge technology includes free Wi-Fi internet and flat-screen televisions with DVD players. A desk in each guestroom provides the comfort of home. Outrigger Waikiki On The BeachThe Outrigger Waikiki welcomes you to one of Waikiki’s best beachfront properties with a beautiful lobby and 525 guestrooms dressed in contemporary island style. The hotel’s personalized guest registration is gracious and inviting. Duke’s Canoe Club is lively and fun. The Hula Grill Waikiki is quickly becoming a favorite for dining at sunset with marvelous views of Waikiki Beach and Diamond Head. We bring Hawaii’s traditions to life with displays of royal artifacts, workshops conducted by respected teachers of music, art, and history and with hospitality refined over the many years. 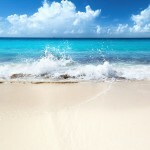 Welcome to the island of paradise. Hilton Hawaiian Village Beach Resort & Spa, a 22 acre tropical paradise on Waikiki’s beach, offers a perfect mix of exceptional hotel accommodations and classic Hawaiian hospitality. 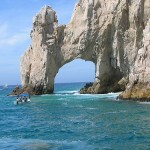 Imagine tropical gardens, cascading waterfalls, exotic wildlife and priceless artwork. The hotel offers you the Village Experience; a perfect blend of accommodations, over 20 restaurants and lounges, shopping, recreational and cultural activities, nightly entertainment including weekly “King’s Jubilee”- a Hawaiian cultural show that ends with a firework display! Centrally located on the world famous Waikiki Beach, the Sheraton Waikiki is known for its breathtaking Oceanfront views available from 80% of the rooms. 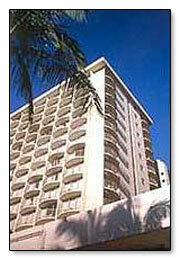 One of Hawaii’s most popular hotels, it is located close to shopping, fine dining, and entertainment. Its 2 impressive wings join a main tower resulting in most of the hotel’s 1,852 rooms having excellent views of the ocean or the city and the Koolau mountains beyond. Royal Lahaina Resort Kaanapali’s original resort, the Royal Lahaina Resort fronts a prime oceanfront location along a half-mile stretch of beautiful Kaanapali Beach. Sitting just north of Black Rock, the Resort offers a feeling of intimacy and privacy.. The island-inspired guestrooms are designed to connect guests with their tropical surroundings while still maintaining a contemporary look and feel. The rich, teak custom furnishings portray a classic and timeless elegance. In-room guest amenities celebrate the artistry, environment and culture of Hawaii. Custom artwork and a hand-crafted wall-mounted canoe paddle accentuate the Hawaiian water sports theme present throughout each room. The Royal Lahaina Resort’s world-class Kaanapali Beach setting coupled with its product presentation and service is the ultimate in relaxation and tranquility. Close to nightlife, shopping, and galleries of Lahaina. 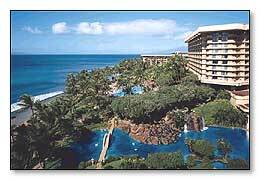 Located on 40 spectacular oceanfront acres on Ka’anapali Beach, the Hyatt Regency Maui Resort & Spa offers unlimited activities and amenities in a setting of tropical luxury. This resort features elegant rooms, tennis, sailing, restaurants, lounges, nightly “Drums of the Pacific” luau and oceanfront Spa Moana and Moana Athletic Club. 806 rooms with 32 suites. Non-smoking floors are available. 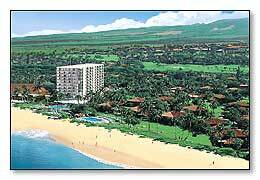 Everything you need is right here at the resort, with lively Lahaina town just nearby. 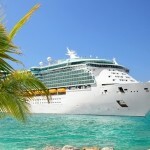 Please fill out form completely so we can best assist you with your travel planning. We look forward to speaking with you, so please include your phone number.